What is the teflon wire 20 awg cable? In electronic industry, teflon wire 20 awg can be used for temperature compensation wire, high temperature heating wire, aging resistant wire and flame retardant wire. What’s more, you can also apply 20 awg teflon wire to home appliance industry. Such as air conditioner, microwave oven, electronic disinfector, rice cooker, electronic thermos, electric oven, electric frying pan, lamp lighting, etc. Where to buy the 20 awg teflon wire with a reasonable price? Because Huadong Cable Group is a 20 awg teflon wire manufacturer and has own plant. So you can buy teflon wire 20 awg cable directly in our factory. That means there is no dealer for extra fee. 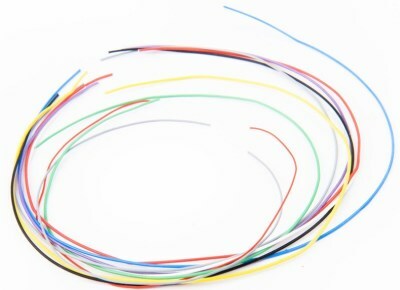 When you choose Huadong, the cost of buying 20 awg teflon wire will be reduced. What’s more, if your order is big, we will give you a discount 20 awg teflon wire price. Are you interested in our low price teflon wire 20 awg? Just leave your message. We will reply as soon as possible. Package & Delivery: Huadong packages 20 awg teflon wire with roll or wooden drum or according to client’s requirement. Customer Case: We have exported our teflon wire 20 awg cable to more than 30 countries, such as: Russian, America, Yemen, South America, North America, Middle East, Africa, Asia, Oceania countries, etc.